Larva of Neolema cordata on leaf of dayflower, Commelina sp. (Commelinaceae), collected 3 miles east of Charleston, Coles County, Illinois, 8 July, 2012; photographed the following day. 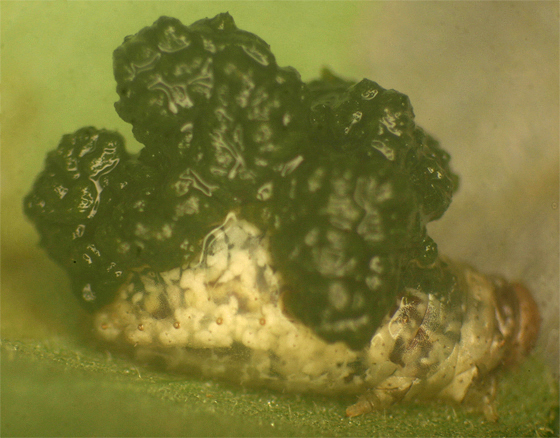 This is the larva seen at the arrow in the linked image of leaf damage.